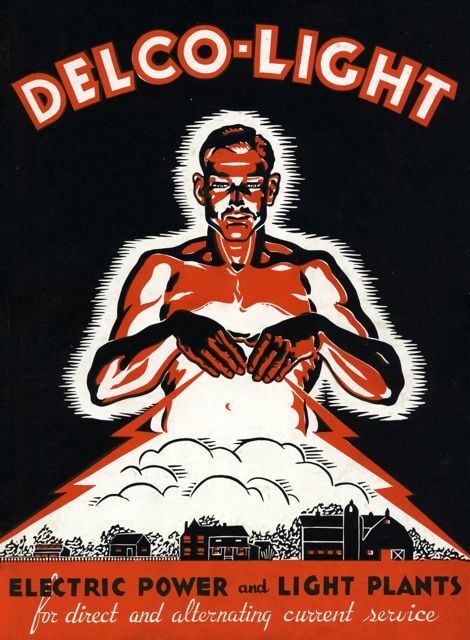 Delco-Light become the undisputed king of the light plant market very early on. Their advertising throughout the 1920's and 1930's was often visually striking and appealed to the senses of modernization and progress. The company even went so far as to suggest that converting to a modern Delco-Light farm home would make the difference between a life of success and happiness and one of failure and despair. 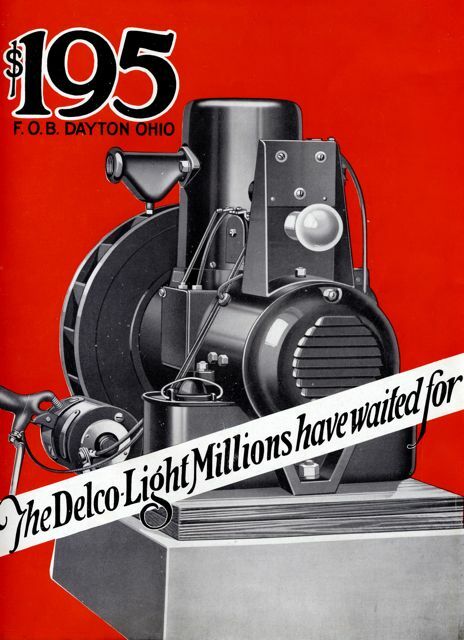 Parents were persuaded to believe that modern life in the city would lure young folks away from the farm forever unless they provided them with a full, rich life, designed for health and genuine contentment that could only be delivered with a Delco.